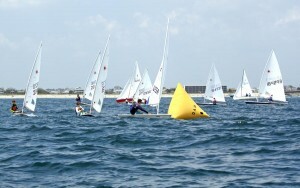 Two local sailors earned a chance to compete at the international level in Sunfish-sized sailboats with their performances in the southeast regional world qualifier offshore of Wrightsville Beach last weekend, Aug. 1-2. 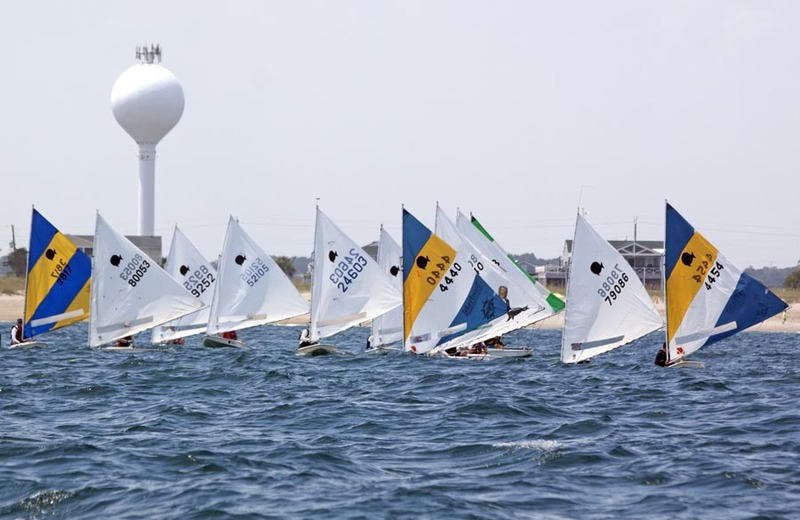 Dr. William Smith qualified for the 2016 Sunfish World Championships in Cartagena, Colombia, with his first-place overall finish, and 13-year-old Dean Omirly qualified for the Sunfish Youth World Championships with his win in the junior division. 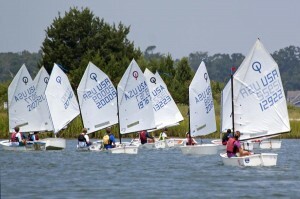 Sunfish are the second smallest racing yachts. 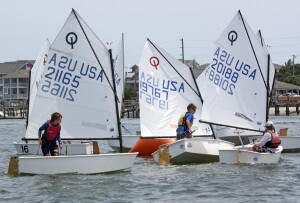 The world qualifier was part of the CYC’s South Atlantic Yacht Racing Association (SAYRA) regatta, hosted by the Carolina Yacht Club, which began Friday, July 31, with a junior clinic organized by CYC’s Josh Putnam. 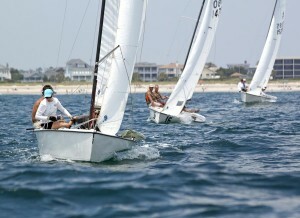 Coaches ran racing drills with the young sailors in Banks Channel and the ocean, Putnam said. 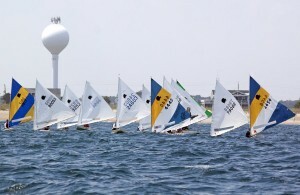 Competition started midday Saturday. 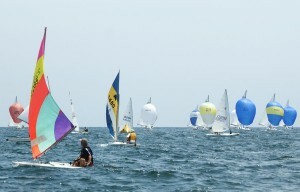 The Optimist class, representing the smallest yachts, raced through Banks Channel while the Lightning, Laser and Sunfish classes matched up in the Atlantic. 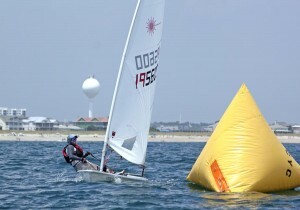 The wind was light during the first race Saturday, Smith said, but it picked up throughout the day. 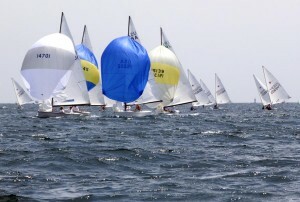 Smith improved each race Saturday, collecting a fifth place in round one, a fourth in round two and a third in round three. 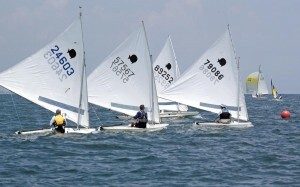 He said an error he made in his first round affected his strategy for subsequent rounds. 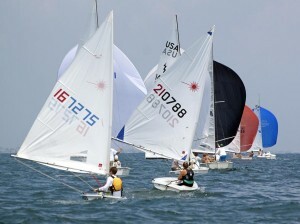 The occasional jostling and bumping seemed unavoidable Saturday, with more than 60 sailboats racing through the choppy seas between markers. 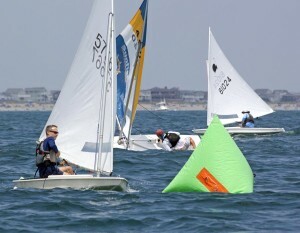 The different classes navigated similar courses, so the packs of 14-foot Sunfish and Lasers rounded the buoy next to 19-foot Lightning boats, the three-man Lightning crews scrambling to simultaneously steer the boat and unfurl the colorful spinnaker sail. 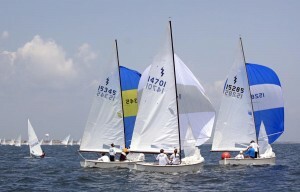 Savannah, Ga., sailor Eric Oetgen teamed up with two Wrightsville Beach sailors, Trey Carraway and Robert McClain, to win the Lightning class. 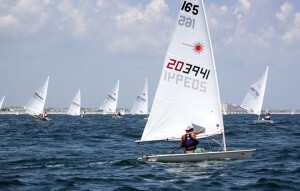 Meanwhile Martin Willard, who regatta chairman Sterling Powell said just returned from competing at nationals, took first place in the full rig Laser division. 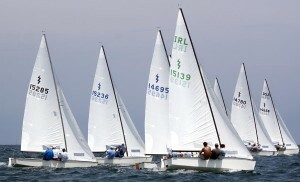 Dean Omirly’s older brother, Henry Omirly, also raced in the full rig Laser class and, like his brother, he was the only junior sailor to take on the adults. 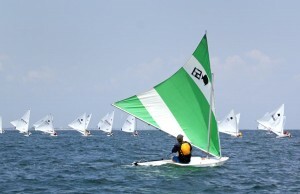 The rest of the juniors raced Lasers with a radial sail, which Sunfish Southeast Region representative Larry Mass said is smaller and slower. 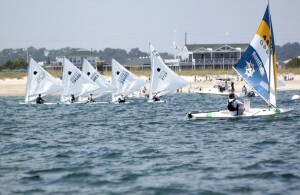 The competition for first place in the Sunfish class and a berth in the world championships came down to the final race Sunday. 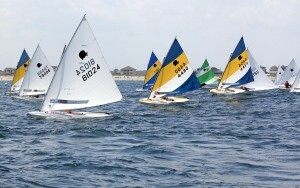 With winds light during the first race of the day, Smith was able to clinch a round four victory. 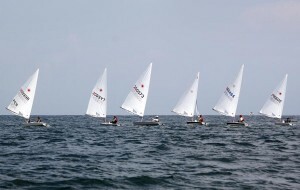 But because of the varying conditions throughout the weekend, four others had accumulated enough points to potentially overtake him during the last race. 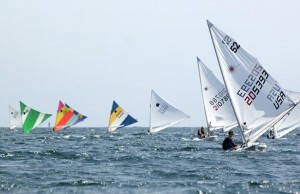 The top sailors were so evenly matched, competition ended in a tie between Smith and Halifax Sailing Association’s Dave Dunn. 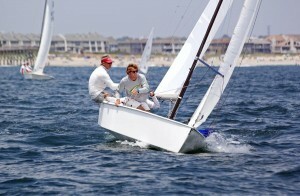 Smith won the tiebreaker because he finished ahead of Dunn more often. 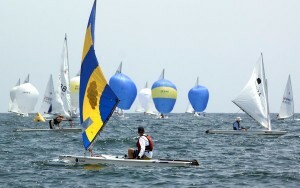 More meaningful than winning, Smith said, is spending the weekend on the water with his two sons, 16-year-old Thomas Smith, who won the Laser radial class; and 11-year-old Benjamin Smith, who raced in the Optimist class. 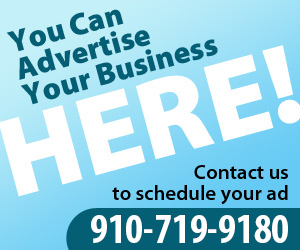 Those priorities won’t change, he said, if he decides to make the trip to Colombia to take on the world’s best.